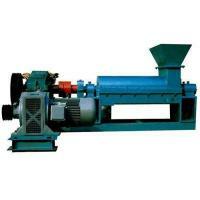 this equipment is mainly used to degrade pulp board, waste paper and broken paper, deinking and pulp purification. Qinyang Huaixi Paper Making Machinery Plant was built in 1978, located in the emerging industrial city - Qinyang City. 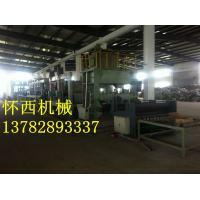 We are one of the professional manufacturers of a full set of paper production equipment in Henan Province, with more than 300 employees. There're about 60 technical staff .The factory covers an area of 60,000 square meters,the building covers 20,000 square meters. It has fixed assets of 1,000 million.It has been awarded the contract and credit enterprise, the enterprise passed ISO9001: 2008 international quality certification international body. 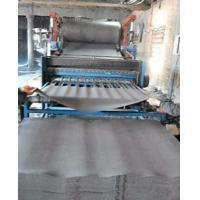 The productions of papermaking equipment, leather equipment sold various provinces and cities and regions, and exports of Vietnam, Myanmar, Uzbekistan, Russia, Kyrgyzstan and other countries. It's a speciality factory for pulping epuipment, paper makingequipment,leather equipment, drying room, dry anhydrous paper machine.over the years to develop high quality, high efficiency, energy saving, environmental protection products. "Quality of survival,the credibility of development "is our eternal theme and motivation pregnant sincerely welcome customers to visit the West, the great cause. Main products:leather equipment, drying room,dry anhydrous paper machine,787 type toilet paper machine,1092 type paper making equipment,1575 type, 1880 type,2400 type,3600 type, and other specifications of the paper machine and the paper complete equipment.we're have to provide customers with quality products, products Three Guarantees, consignment agent, can design, installation and commissioning. By the user trust and praise. We are willing to domestic and foreign customers to create brilliant!